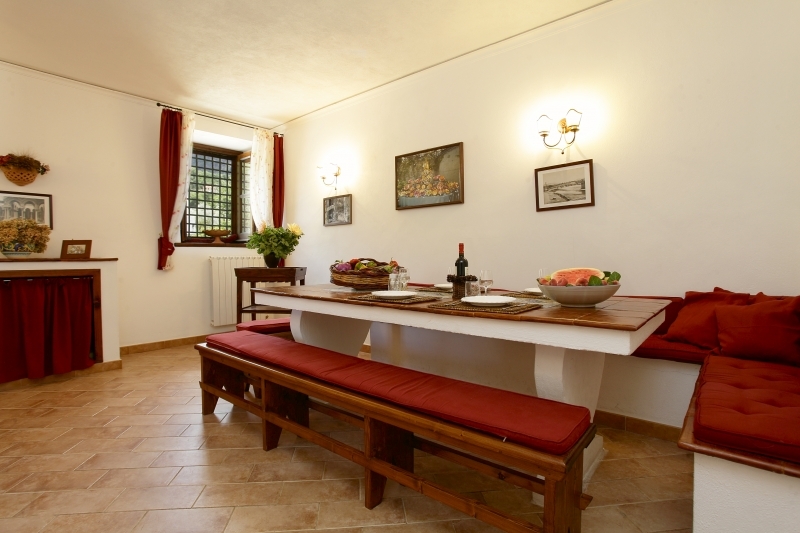 Villa ai Mulini is a holiday rental villa in the Madonie natural park, Sicily. 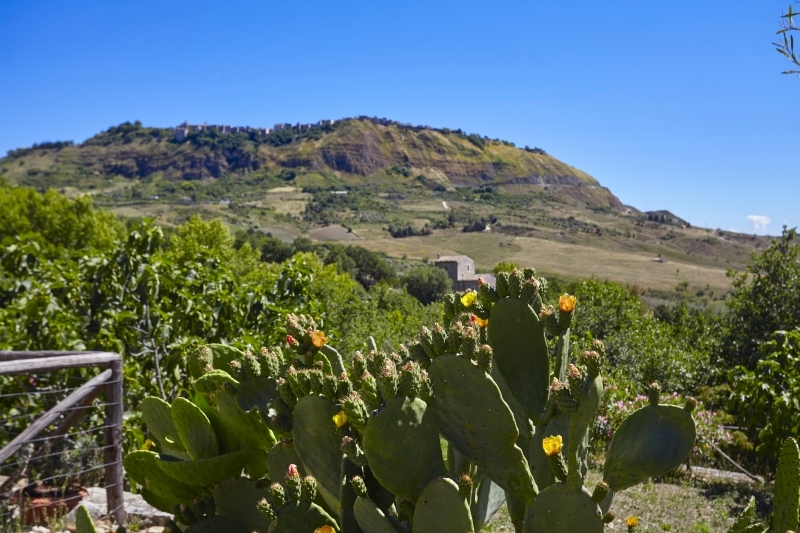 It is beautiful old converted stone farmhouse with green uninterrupted views over the Sicilian hills. It sleeps 7 in 3 bedrooms/3 bathrooms. 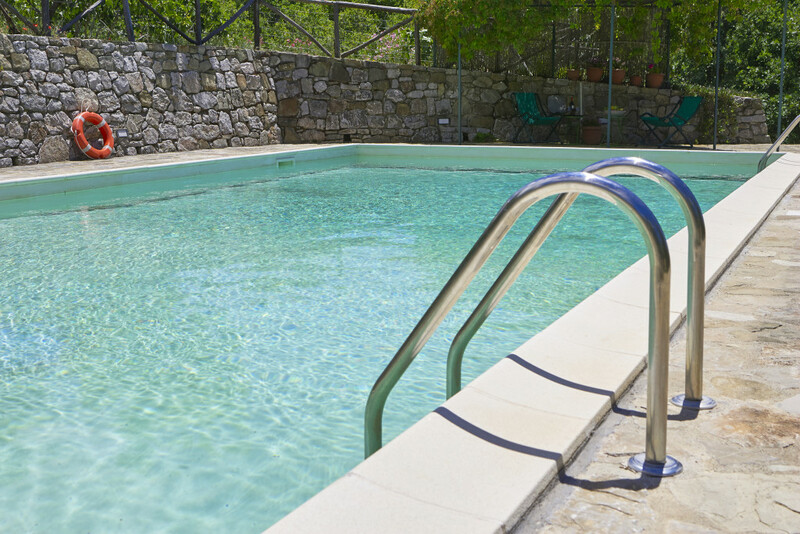 In its acre of totally secluded grounds it has a stunning large swimming pool (12m x 6m) and beautiful quiet terrace with flowering plants. 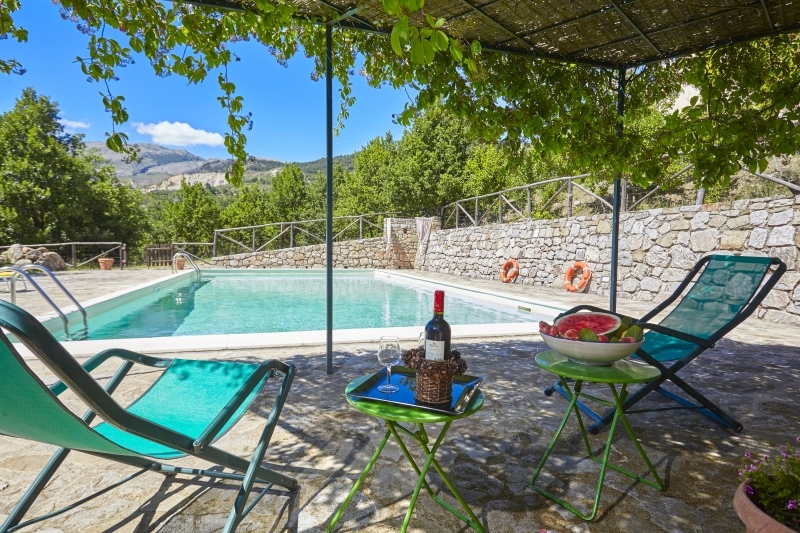 The villa has a stunning views of the mountains surrounding the valley and is located in a perfectly quiet place at about 2300 feet above sea. It’s away from the traffic but enough near to the village centre to enjoy its services. It has been completely renovated to a very high standard and is wonderfully furnished and equipped, with maid service on request. 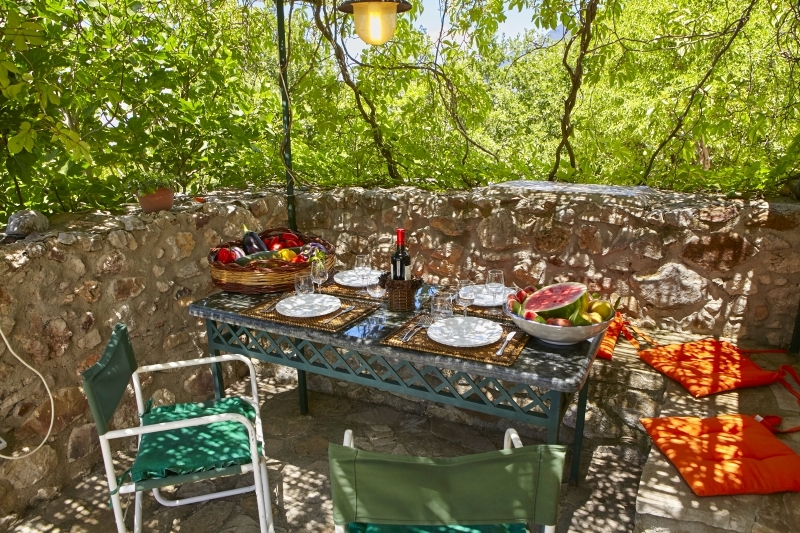 The terrace has one of the best views in the Madonie park and is a wonderful location for slow Sicilian meals. 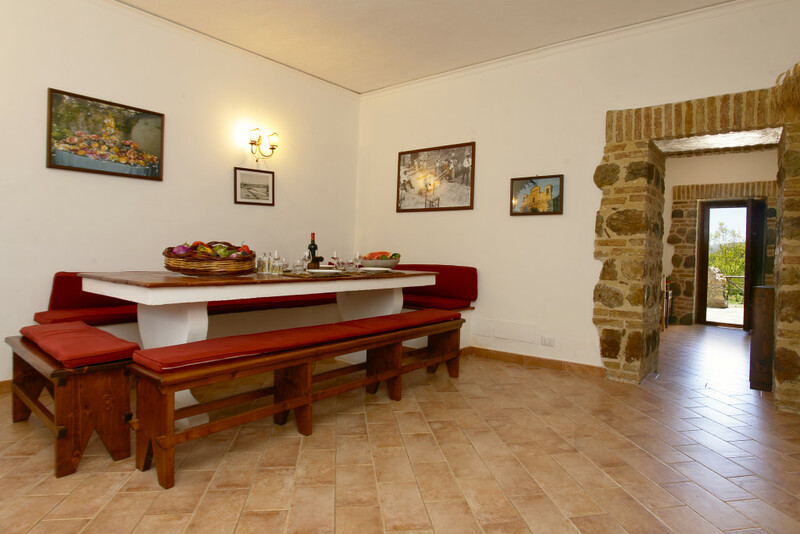 Villa ai Mulini is situated in a natural park, only 1,9 miles from the medieval village of Polizzi Generosa. Nearby is the fishing town of Cefalu, renowned for its Arab-Norman cathedral. Palermo, main town of Sicily, is about an hour away by car. A town that remains almost purely medieval, Gangi is characterized by her picturesque streets faced by stone facades. Etna is among the tallest volcanoes of the European Continent, and the exact heigh is approximately 3,340 metres above sea level. 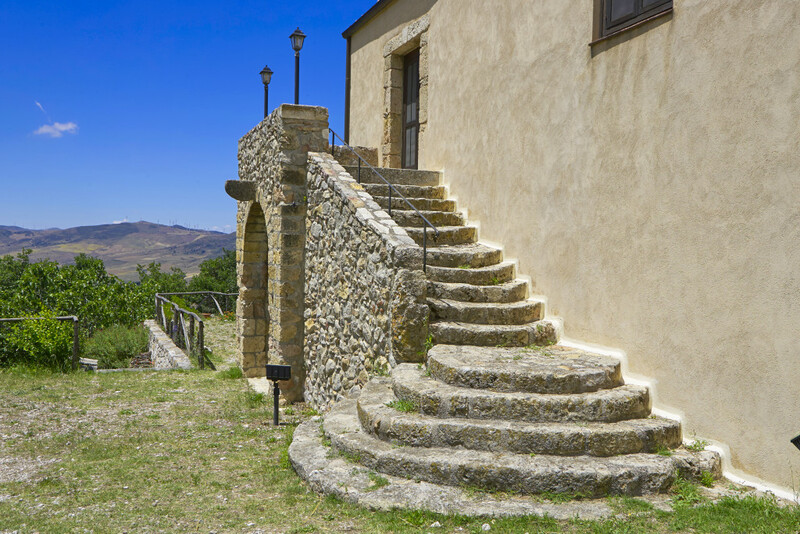 Polizzi Generosa is a small medieval village at 917 meters above sea level, located in the center of Sicily, boasts a rich artistic and cultural heritage. Over the centuries the village has maintained its own look and feel with streets and alleyways reminiscent of time gone by. A quiet, yet lively place worth visiting !